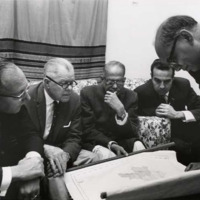 W. R. Poage Legislative Library supports programs designed to inform and educate students, scholars, and the general public on the history of Congress, the legislative process, and current issues facing both local, state and national governments. 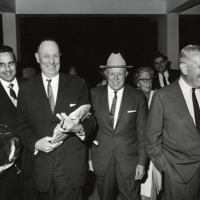 The library encourages the preservation of materials that document the work of government, including the papers of U.S. congressional representatives, Texas state legislators, and judges, and supports programs that make those materials available for educational and research use. 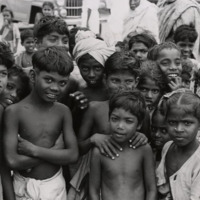 A group of South Indian children who turned out in large numbers to greet the U. S. Congressional Delegation in Tanjore District, Madras State. 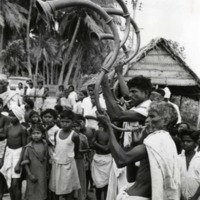 Distinguished visitors in South India are traditionally greeted with these enormous horns. 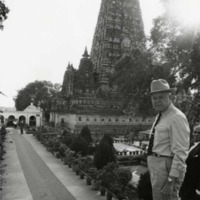 Congressman William R. Poage at Buddha-Gaya Temple in Bihar State. Members of the Congressional Delegation participated in an exhaustive briefing on conditions in the drought affected areas of Bihar. The briefing was presided over by the Prime Minister's Emergency Relief Coordinator, Mr. J. P. Narayan.